These colors are so me, lol, love the greens & browns, and that felt is gorgeous!! those are so cute! i especially like the 3rd one! Fun Fun. Can’t wait until all these items hit stores! Yummmy!!!! I love those cards….makes me want to play with my JB again! 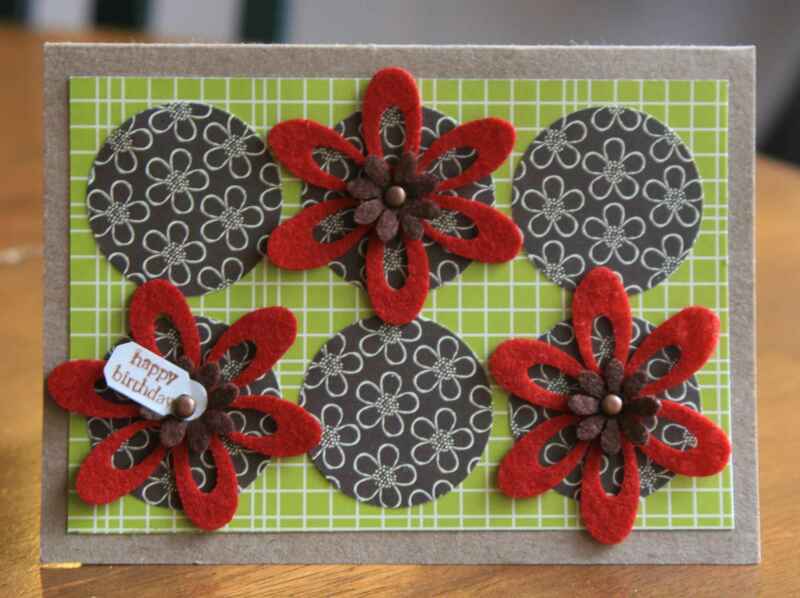 Ooh, gorgeous cards, I absolutely love that green grid paper, it really jumps out at you! Absolutely love the lined paper since I’m a school nerd at heart!! i love the green and brown together on the 2 cards! fab! these cards are so, so gorgeous, can’t wait to play with this paper!!! Awesome cards! 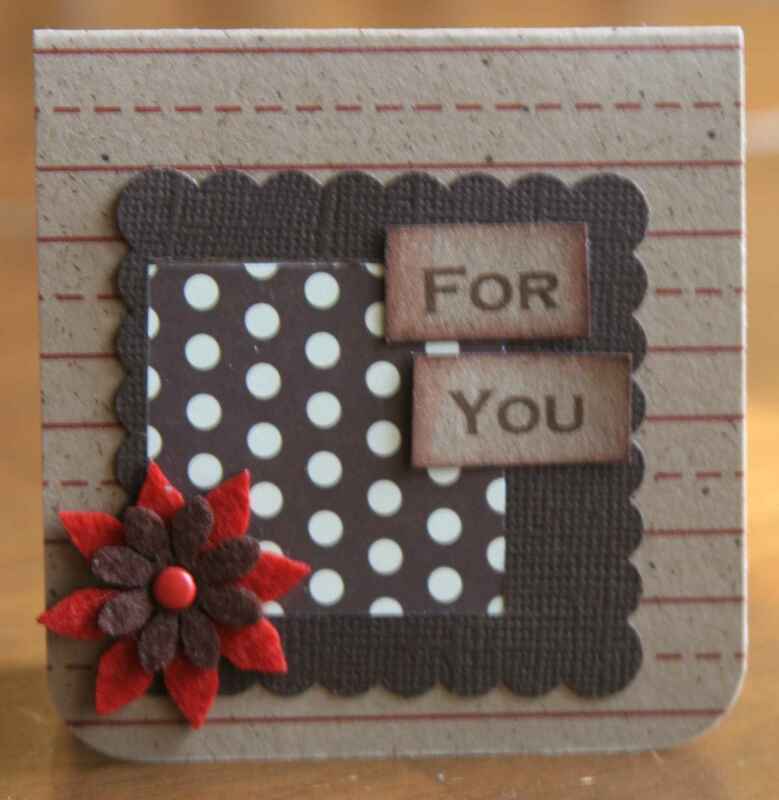 I love the color combos and the brown checkered ribbon! Love the “pop” of red on them as well!! Great color schemes & designs! Gorgeous cards. Can’t wait to get my hands on the kraft papers and journaling spots. Hope the JB Soup goodies will arrive in the Dutch stores soon. fun cards! red is my fav. color so I love the pop you’ve added to the soup!